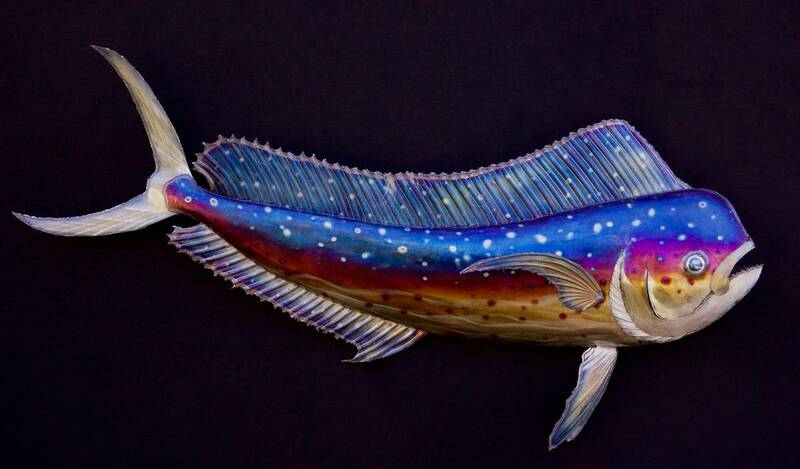 This metal Mahi Mahi sculpture is wall hanging and made entirely of stainless steel. 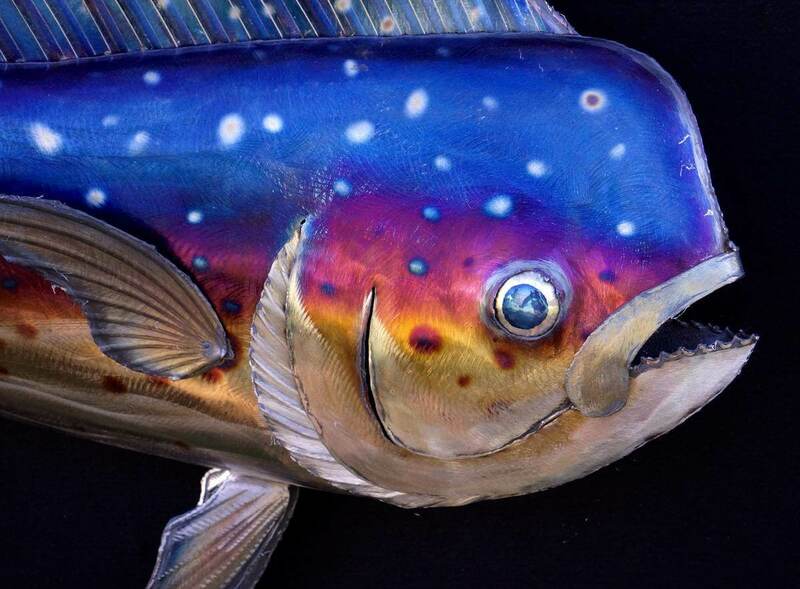 I find Mahi Mahi to be very intriguing unique creatures with their vibrant colors and distinctive square forehead. The most challenging aspect of this sculpture was the fact that in nature they are more of a yellow green color and that is the specific color spectrum that I haven’t been able to create in stainless… at least yet. But with that being the case i think the blue is beautiful and fills in nicely for its close relative green. My favorite details is the texture of the fins. This sculpture is completely safe to be kept outdoors!